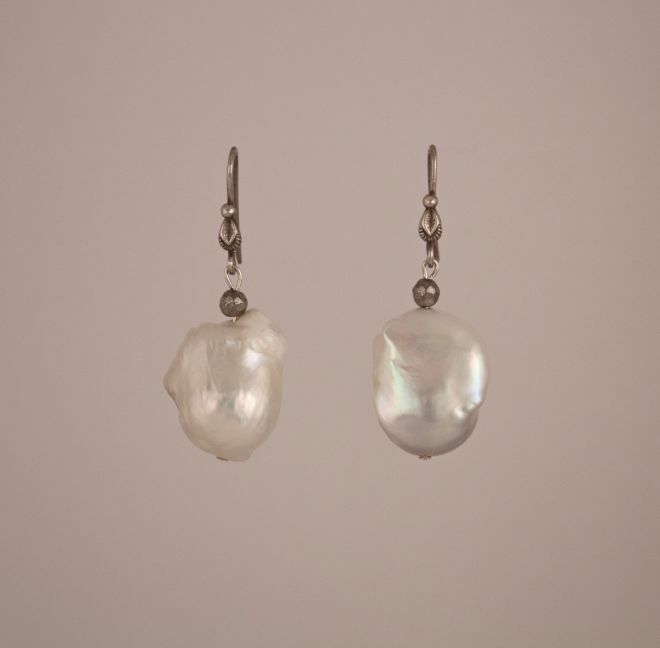 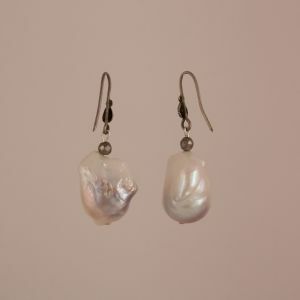 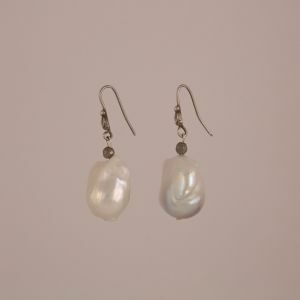 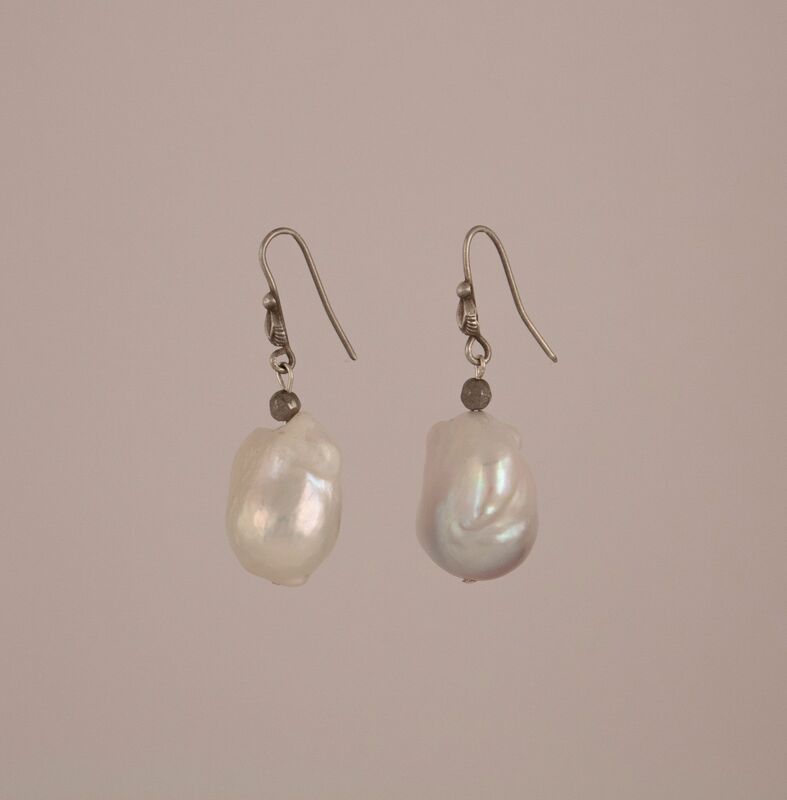 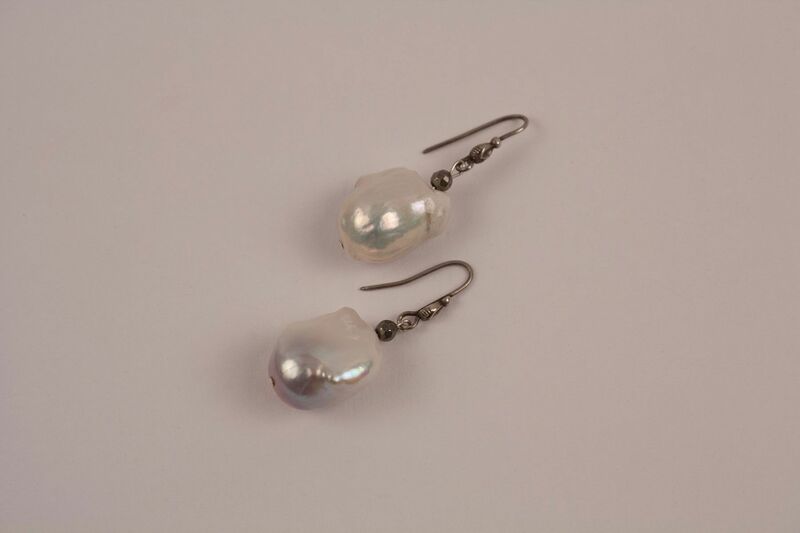 A lovely pair of white fresh water baroque pearl dangle earrings on sterling silver wires. 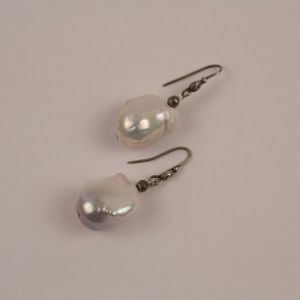 The well-matched pearls, which are a wearable size, have beautiful color and luster. 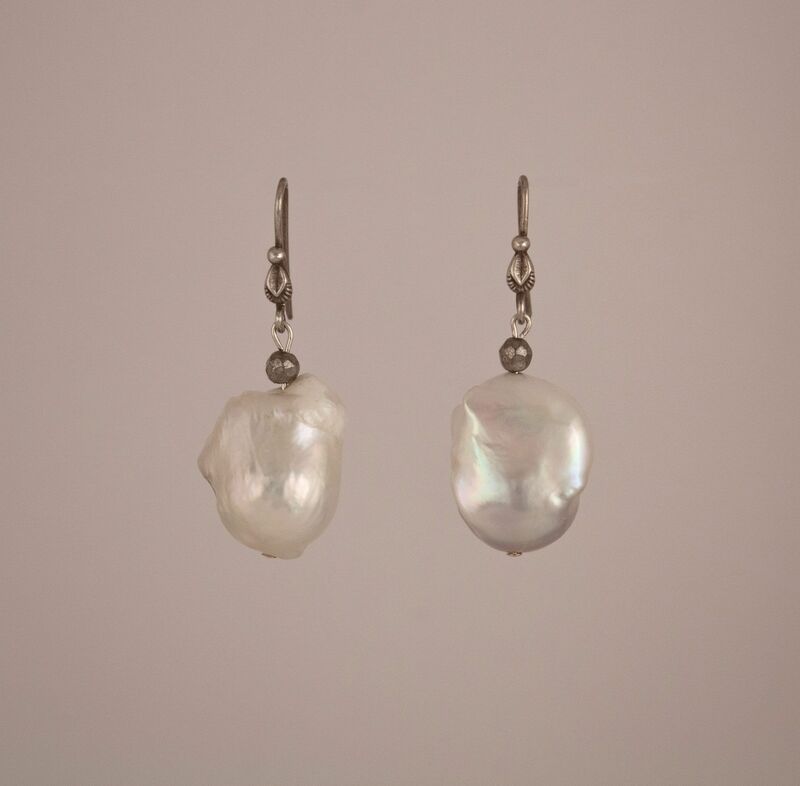 The silver findings lend a more causal air to the pair.